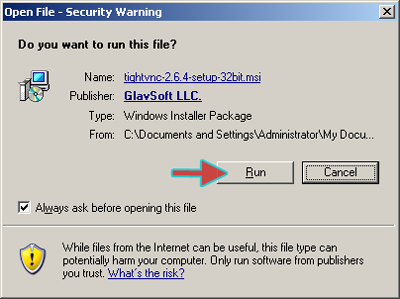 Download the TightVNC installer from and run it. 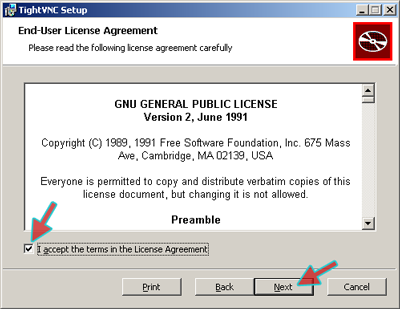 Place a checkmark in I accept the terms in the License Agreement and click Next. 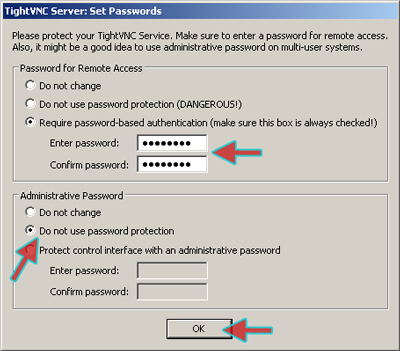 Type in a password for remote access (REMEMBER IT!). Under Administration Password select Do not use password protection. Click OK. 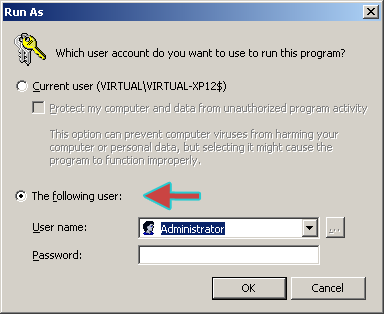 If prompted, ensure you run as ADMINISTRATOR and click OK.
TightVNC is now installed. The tray icon should visible on your taskbar. 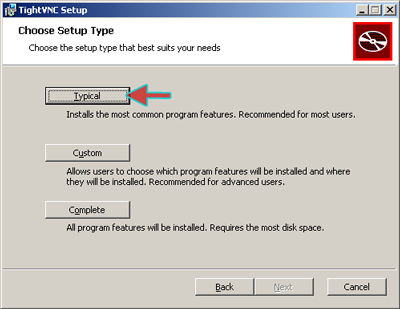 Download the TightVNC server installer. Download the 64-bit TightVNC installer.